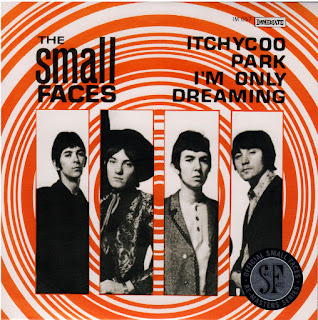 Back in 1967, “Itchycoo Park” was just about the most psychedelic hit single on Top 40 radio. It’s probably the best-known song by The Small Faces in America, since the band was never quite as popular here as it was in England. 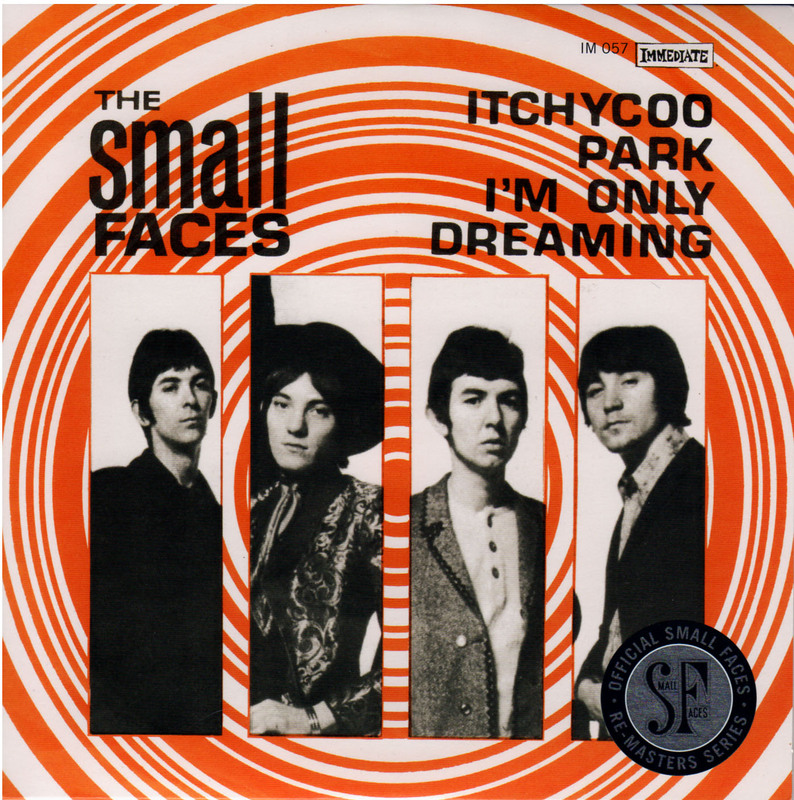 Written by vocalist-guitarist Steve Marriot and bassist-vocalist Ronnie Lane, “Itchycoo Park” has a seductive melody and synthesized drums that sound like rockets or jet fighters. It’s done in a call and response vocal arrangement, as a lad tries to lead his classmates astray with promises of a mystical destination. For us kids, it was hard to decipher all the lyrics; we thought “But why the tears there?” was “But why’s the cheese there?” Still, we could certainly identify with “You can miss out school/Why go to learn the words of fools?” The repeated line, “It’s so all too beautiful” sparked visions of a hippie paradise where everyone gets high. I bought this particular copy on Record Store Day last year at the Reckless Records in downtown Chicago. At $11.49, it was one of the pricier 45 rarities, but it is a limited edition re-issue on the Immediate label, and included a limited edition postcard. 2012 was the year that The Small Faces were inducted into the Rock And Roll Hall Of Fame. Record Store Day will take place on April 20th this year.